Hey everyone! How are we all? 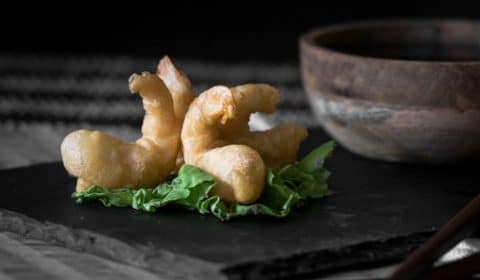 So, you’re a fan of tempura prawns? Yeah, me too. They are one of the best things to snack on. And because of that, I decided to make them with an amazing soy dipping sauce. Nothing beats that light, crispy batter, but remember, nothing stays crispy forever once you have deep-fried it. So make sure you serve these straight after frying them. I have read that when making the batter, it is important to add the liquid when it’s super cold. 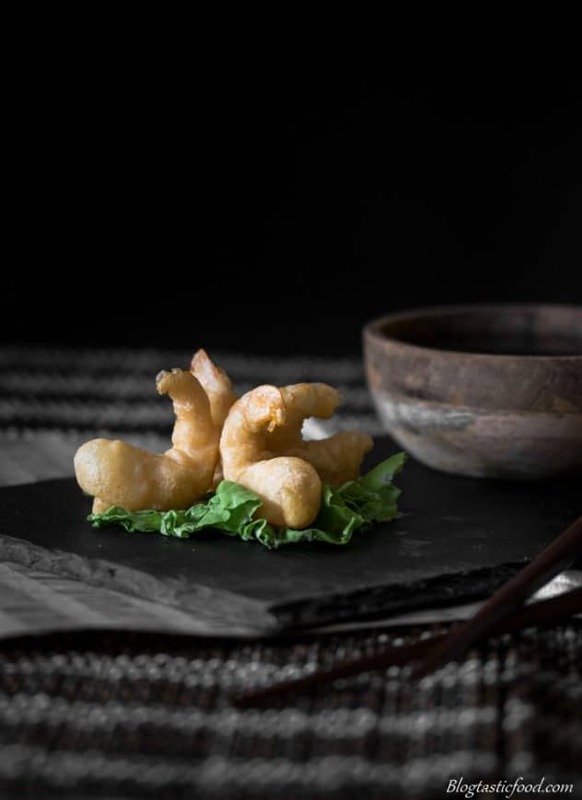 It is also important to start frying the prawns as soon as you’ve made the batter because the starch can interfere if you leave it for too long. I would agree with both of those pointers, but I also wanted to talk about the thickness of the batter. I would say that you want the batter to be thick enough to coat the prawns well, but no thicker. The first time I attempted to make these prawns, I made the batter really thin. So when I tried deep frying them, I fished out an oily, slimy prawn with no batter on it…mmmmmm..yep, that will definitely make people hungry. So clearly, the batter just fell right off. I haven’t tried frying any other ingredient in tempura batter but I’ll have to give it a go. I heard that certain vegetables work really well. I suppose you could pretty much deep fry anything tempura style. 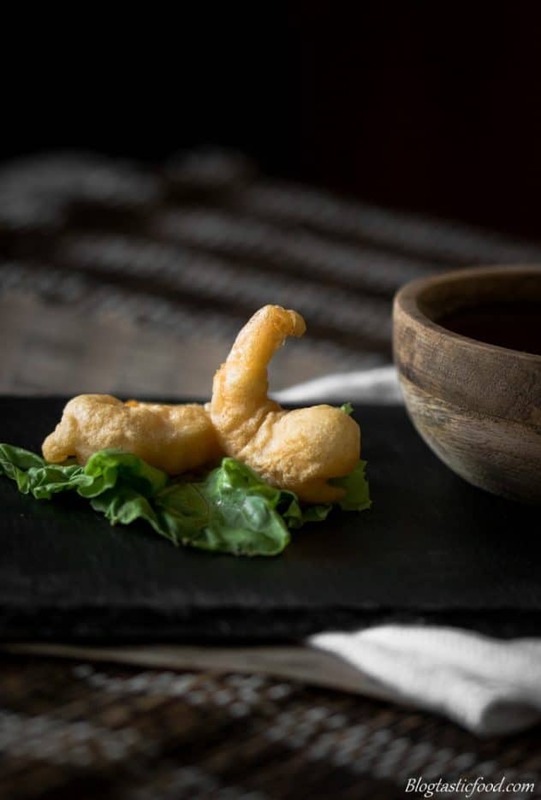 What would you fry in tempura batter? I like the idea of using different kinds of seafood, such as scallops, mussels, squid etc. Then just serving a big tempura seafood platter with all the different sauces. Soy sauce, sweet chilli sauce, hot sauce you name it! I do love serving tempura prawns like this as an appetizer. However, something I get regularly for lunch is tempura prawns in sushi. 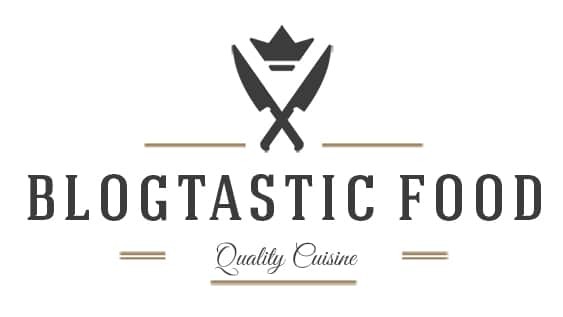 Just writing about it right now makes me super hungry. Although I go mad for just about any kind of sushi. I still haven’t made sushi for this blog yet so who knows, maybe homemade tempura prawn sushi will be an upcoming recipe post. So I hope this recipe goes well for you if you make it. If you haven’t subscribed already, feel free to do so. Hope you have an awesome day and I will send another post your way soon! If you’re a fan of Tempura Prawns then you may also like these prosciutto wrapped prawns with pesto dipping sauce. Crispy, light delicious batter. Tempura prawns are the best!! Served with the most amazing sweet and sour soy dipping sauce. Heat up the soy sauce and water in a sauce pot over medium heat. Once hot, add the sugar and lime juice and turn the heat down nice and low. Mix the cornflour and a tablespoon of water together until combined, then add it to the soy sauce mixture. Stir for another 1-2 minutes, you will notice that the sauce will thicken. Allow the dipping sauce to cool and set aside. Get enough oil in a pot to deep fry your prawns, then start pre-heating over medium-high heat on the stove. If you don't use a really big pot, you won't need to add as much oil. Make sure you have all of your ingredients ready and measured out. The sooner you can deep fry the prawns after making the batter, the better. Put the flour, cornflour, baking powder, salt, paprika and cayenne pepper in a bowl. Whisk the soda water into the dry ingredients until you get a nice smooth batter. Make sure the oil is hot enough for deep frying. You can test it by adding a tiny bit of batter to it. If the batter is floating and bubbling, you are ready to start deep frying. Get some kitchen paper ready on a plate. Dip the prawns in the batter, then very slowly and carefully plunge into the oil. Add as many prawns as you can without overcrowding the pot. Fry for about 1-1½ minutes then fish out with tongs or a slotted spoon. Transfer onto the kitchen paper. Serve straight away with the dipping sauce. 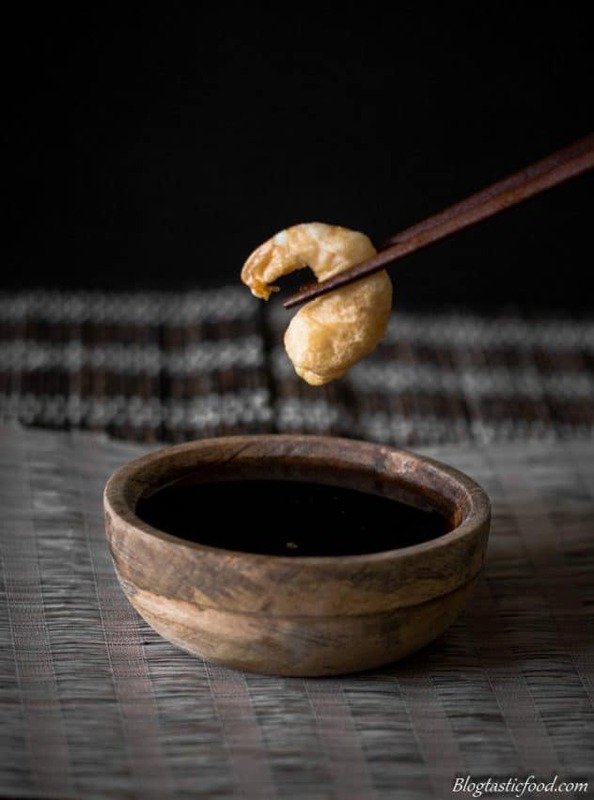 Remember to serve straight away after frying, you don't want to be serving soggy tempura prawns. Sounds like you have a delicious combination there with the prawn and dipping sauce, yum! You just reminded me that I have’t made anything tempura in ages. Your shrimp are perfection. When you write corn flour, is that the same thing as corn starch? Ah! Okay! I just spent a few weeks in Australia, but I guess I never discussed cornstarch with anyone!